Add Blackwing Cleaner and Oil Kit? 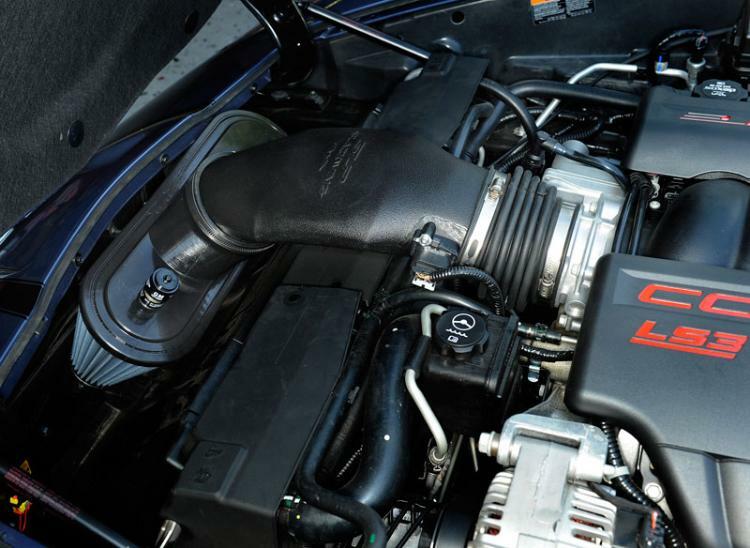 One of the quickest and best ways to improve the performance of your Grand Sport, LS3 or ZO6 LS7 Corvette is to eliminate the ugly, inefficient stock air box. 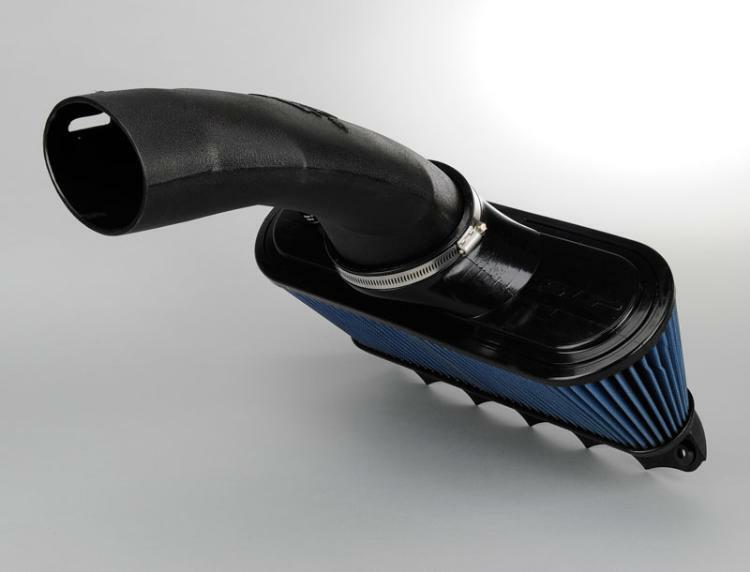 This easy-to-install air filter package from SLP, nicknamed the "Blackwing" for its unique appearance, is a perfect example of some of the brand new performance technology on the Corvette market today. 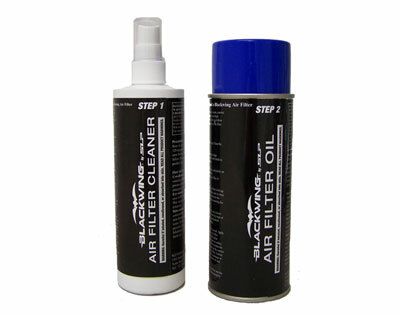 This Blackwing Air Filter by SLP is absolutely top of the line. 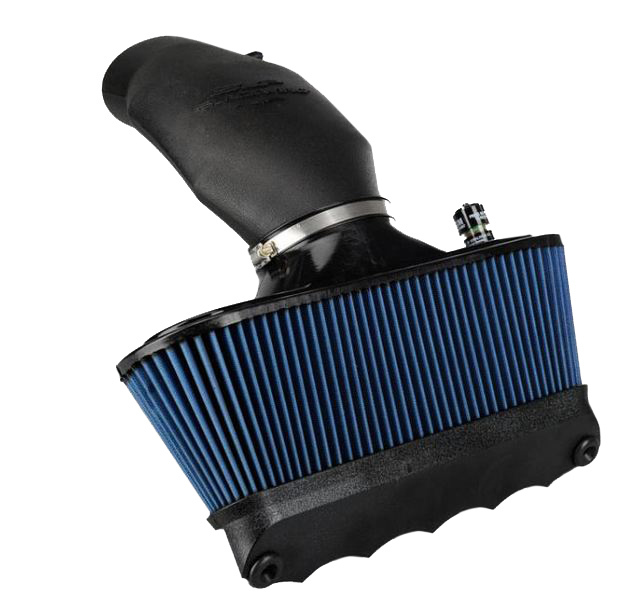 It out-flows the factory filter by as much as 90% and can provide up to +10 additional horsepower and +11 ft/lbs at the flywheel. The Blackwing uses a wire-reinforced, reusable and washable blue high-flow filter media that requires re-oiling after cleaning for maximum filtration. The Blackwing also features an exclusive built-in flow indicator that changes color when cleaning is required. Also included in the package is a factory style finished high-volume air bridge with integrated MAF housing and secure mounting points. 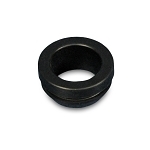 This is a simple bolt-on installation that requires no cutting or vehicle modifications. Not approved for sale or use in California. 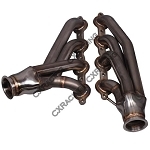 Q: Will this work/fit my 2011 corvette convertible with ls3 ? Q: How much hp gains should be expected for my 2013 c6 grand sport? I have full bassani exhaust & tune.